in 360i News with tags 360i, 360i leadership Both comments and trackbacks are closed. We’re thrilled to share that Jared Belsky, who has served as 360i’s President for the past five years, has been promoted to CEO. In his new role, Jared will assume full operational and strategic responsibility for the agency. Sarah Hofstetter, who has served as CEO of 360i for nearly five years, will become Chair of the agency. 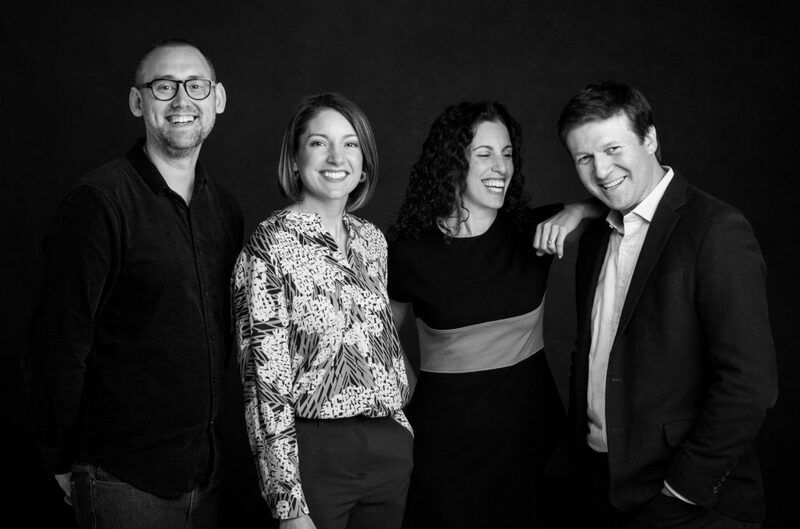 Together Jared and Sarah, in partnership with 360i New York President Abbey Klaassen and Chief Creative Officer Menno Kluin will guide the strategic direction of the agency. Sarah will remain an actively involved member of 360i’s leadership team and will continue her executive sponsorship on key client relationships, as well as developing relationships with new and existing clients, and championing the agency’s thought leadership. Since joining 360i in 2008, Jared has helped guide the agency’s growth, product development and overall strategic direction, in addition to overseeing 360i’s Media practice. Under his leadership, 360i was named Adweek’s Breakthrough Media Agency of the Year for 2018, and has been repeatedly named a top Search agency by Forrester Research in recognition of the agency’s award-winning search, display, media mix modeling and social advertising disciplines. More recently, Jared has spearheaded 360i’s industry-leading expertise in Voice, including the development of Voice Search Monitor (VSM) software that reverse-engineers algorithms used by the most prevalent Voice platforms to help brands stay top-of-mind in all forms of discovery. Prior to joining 360i, Jared had over a decade of marketing experience in a variety of roles, including launching a new CPG brand, marketing Coca-Cola’s Fanta brand, and working in media buying and account roles at Avenue A (now SapientRazorfish). Jared’s appointment to CEO follows a string of successes for the agency, including the aforementioned Adweek Breakthrough Media Agency of the Year honor for 2018, being recognized in Ad Age’s A-List issue for the eighth consecutive year, and a series of new business wins following a year of strong organic growth. Read more about Jared’s appointment as CEO in Ad Age and Adweek.